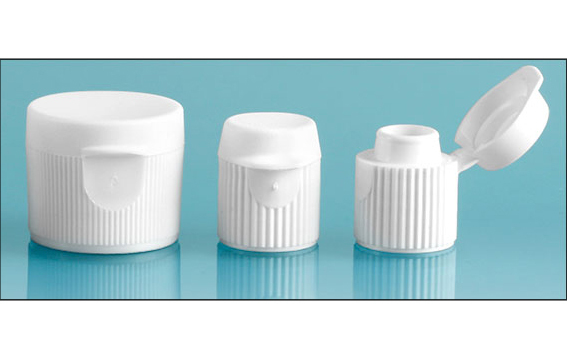 These white polypropylene threaded snap top caps are available in three sizes: 13 mm (.303-inch orifice), 20/410 (.125-inch orifice), and 24/410 (.250-inch orifice). The ribs on the closure aid your grip while screwing the snap cap on and off. 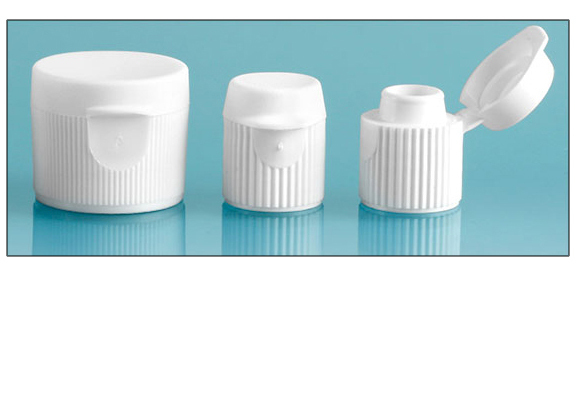 To dispense the product, flip up the hinged lid. Simply press the cap back onto the beaded finish to close.